A number of members have contacted me recently about rumours circulating on the internet that are incompatible with both the party and my own stance as a civic patriot. To this end, I feel that in line with some of the other area branches I need to put out a statement that puts the record straight about the involvement of The English Democrats with certain other organisations within the arena of UK Politics. 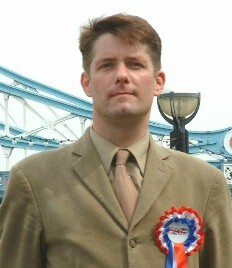 Mr Barnbrook was elected to the Greater London Authority (GLA) in the 2008 election for the British National Party (BNP). 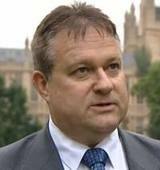 Mr Barnbrook has since left the BNP and now stands on the GLA as an independent authority member. Mr Barnbrook made contact with a former member of the National Council of the English Democrats with a view to joining our party and becoming involved in the GLA campaign for the 2012 elections. Mr Barnbrook also contacted other organisations with the same objective. The National Chairman of our party felt that in line with our policy of open discussion that the London Area Committee should meet with him and hear what he had to say. After a presentation to the National Council of the English Democrats, and subsequent referral to senior members of the London area, it was decided that there should be no further contact or involvement with Richard Barnbrook, and he should not be given membership of our party. The same former member of the National Council took it upon himself to send an email to a republican political party in Ireland soliciting funds for an election campaign. This contact was not authorised by the National Council of The English Democrats. After Steve Uncles inappropriate email’s and conduct to other NC members he stepped down from the NC after a vote of No Confidence. After the party Chairman released a statement that Mr Uncles no longer speaks on behalf of the party the English Democrats Hillingdon also supported that decision. We have seen nothing fromMr Uncles to change our decision even though he was portrayed as the Party Spokesman recently on TV. This post is to reaffirm the original decision by the NC and the party Chairman that Steve Uncles does not speak for the English Democrats Hillingdon branch. In the current climate of mistrust of Politicians of all parties, I hope that this message conveys to all those who support our mission of open government and free speech that The English Democrats will not tolerate the undemocratic behaviour of even our most senior party members, and will not hesitate to expose indiscretions where they do not respresent the interests of the people of England. Steven Uncles was initially a dynamic figure and leading light within our organisation, but in the last few years has displayed instances of poor judgement and self promotion that have led myself and others to the conclusion that the constant stresses of leadership have taken their toll on his health and well being. We would urge Steven to take a well earned break from politics and to come back refreshed and re-invigorated after a sensible amount of time to once again be a positive influence for good in England. This entry was posted in Greater London Assembly (GLA), National Events. As a Fellow English Democrat and a person who works quite often with cliff Dixon London deputy chairman and author and Hillingdon branch chairman an others within the party to promote and boost the partys image and work for the good of England – It nice to see an open and honest post and one that is backed by many people. It is ashame to see the partys image damaged and see GOOD people leave the party becuase of things others from within the party do. well written piece cliff it seems again decent members who work hard and make political headway(successful) are hounded out for there loyalty to England yet political failures who lets be honest at recent elections results, leave a lot to be desired are fated by the rotten clique within a certain section of the party.I do believe this is down to pure jealousy as in the beginning of the party it was a small run op, now it as grown and people of all walks of life have joined (and left) as they built up there own voter base and were making serious headway and very possibly success they are subjected to attacks, when they question the direction and accociate s certain people have approached with in the party. we all know what has to happen to set this problem right Steve uncles must go. no person who conspires with its enemy’s can claim visionary status ,its pure and simple treason!. Keep up the good work Cliff, this is the sort of thing that needs to happen, Uncles and Tilbrook have forced many from the party with their actions it seems. The more this is highlighted the more people will know what exactly goes on. Every thing is not OK as they would have you believe on the FB page. Get rid of Uncles and get a new chairman and the ED will start going places, if not they will just keep haemorrhaging more and more members by the week. SEAN VARNHAM FOR SE CHAIRMAN. Come on people, vote for the right man for the job. There are a lot more things right than wrong with the party Jamie, although as you can see from the post we do have a loose cannon who needs his barrel spiked! (I think you knew that already). The vast majority of our members are decent committed patriots, and by exposing the odd bad apple and removing them from authority we can progress the movement and finally give the English the voice they deserve in national politics. Onwards and upwards!